Want Access to the North American Music Market? Join the Reeperbahn Festival New York delegation at A2IM Indie Week! Reeperbahn Festival is returning to New York City and once again offering German and European music industry representatives access to the first-rate programme of the American Association of Independent Music’s annual conference, A2IM Indie Week Presented by SoundExchange, an event traditionally open only to A2IM members. Moreover, we teamed up with SynchSummit NY, the yearly music licensing marketplace, taking place from 22 – 23 June. Last year’s A2IM Indie Week drew about 880 delegates from a vast range of independent labels and service providers from 14 countries. Take part in personalised and focussed networking meetings and get excellent opportunities for accessing the North American music market. SynchSummit NY brings together music representatives with the world’s top music supervisors, ad agencies and brands all looking to find new music, share their knowledge and do business. Get unprecedented access to the information and the contacts you need to succeed in syncing and scoring your music. The regular ticket price for A2IM Indie Week is 575 USD for all associated trade partners. Reeperbahn Festival is subsidising the tickets for members of the Reeperbahn Festival NYC delegation. The regular ticket price for A2IM Indie Week is 575 USD for all associated trade partners. Reeperbahn Festival is subsidising the tickets for members of the Reeperbahn Festival NYC delegation. SynchSummit is offering a 75% discount on their regular rate for all Reeperbahn Festival delegates. To register, please send an email to Lisa. 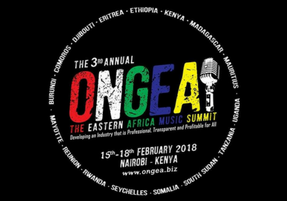 ONGEA - the Eastern Africa Music Summit takes places in Nairobi in two weeks for the 3rd time bringing together the music industry representatives from Kenya and several other East African countries. Reeperbahn Festival will be represented by Conference Director Detlef Schwarte, and we are excited to help establish new relationships between the African music industry and the business in Europe. 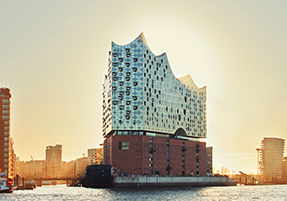 During Reeperbahn Festival a total of five concerts will be held at Hamburg’s new landmark the Elbphilharmonie.Those who would like to attend one of the Elbphilharmonie concerts during Reeperbahn Festival can purchase a Conference Ticket and request a reservation for an Elbphilharmonie concert at the same time. Be quick as capacity is limited. Reeperbahn Festival will take place from 19 – 22 September. Purchase your ticket online at the Spring Rate for € 182,- (plus 19% VAT + sales fee) and contains four days full of fantastic events.